someone will meet you to take you to SiBoya Bungalows. You will go by private car from the airport to Laem Hin, where you will transfer to a private long-tail ferry that will take you (10 min) across to Koh SiBoya. Here you will transfer to a truck to take you to the Bungalows. Do you need private transport to SiBoya Bungalows? 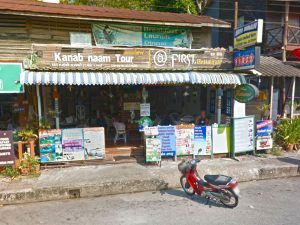 …you can go to the SiBoya Office in Krabi town. Go to the SiBoya Office/Restaurant (see map just below) and tell the staff which songtaew (local bus) you want to take to SiBoya Bungalows. They leave a couple of times daily. No exact schedules so check with office. The one way cost is 100 Bt/pp (2015). The trip from Krabi Town to the Laem Hin pier will take about 1.5 hours. From Laem Hin there is always a public walk-on long-tail ferry to take you across to Koh SiBoya. (leaves every half hour) The cost should be about 20-50 Bt/pp (2018). If you made these arrangements with the SiBoya Office/Restaurant staff in Krabi, a truck should meet you on the other side to take you the 10Km to SiBoya Bungalows (50 Bt/pp – min 150 Bt). 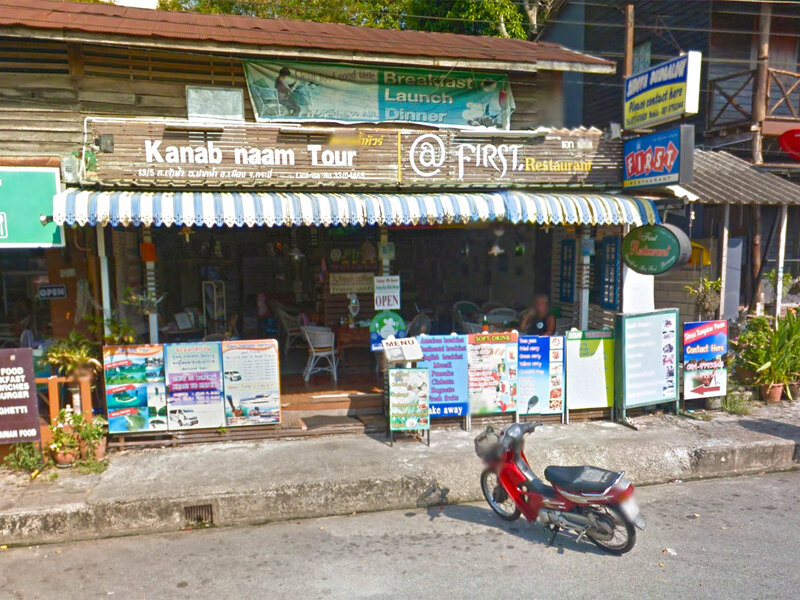 If you arrive here on your own (without going into Krabi) then you’ll have to find someone with a cell phone to call SiBoya Bungalows for pick-up (08 1979 3344) or hitch-hike on a motorcycle… everyone one the island is very friendly just ask… Oh, and don’t forget to offer a tip!